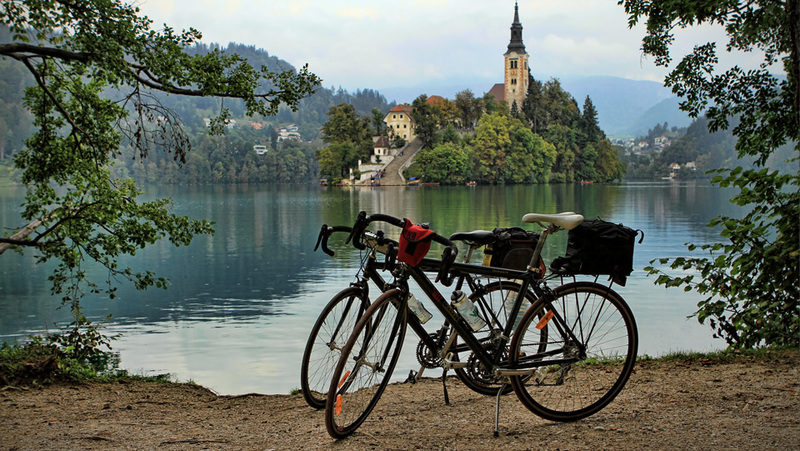 Cycling along the shores of Lake Bled, especially on a day when low clouds tease the mountain tops and mist drifts through the spruce forests, you can easily become convinced you have ridden into the pages of a fairytale. Out of the corner of you eye, veiled in eddies of mist, small white petals of woodland flowers – like tiny wings – tremble as a drop of water falls from a spruce tip. Something stirs the forest floor. A medieval castle, impossibly built high on a rocky cliff, rises above the steeple and stairs of an ancient church that sits, isolated, on its own small island. You suddenly believe in fairies, dwarves, legends, and kings. 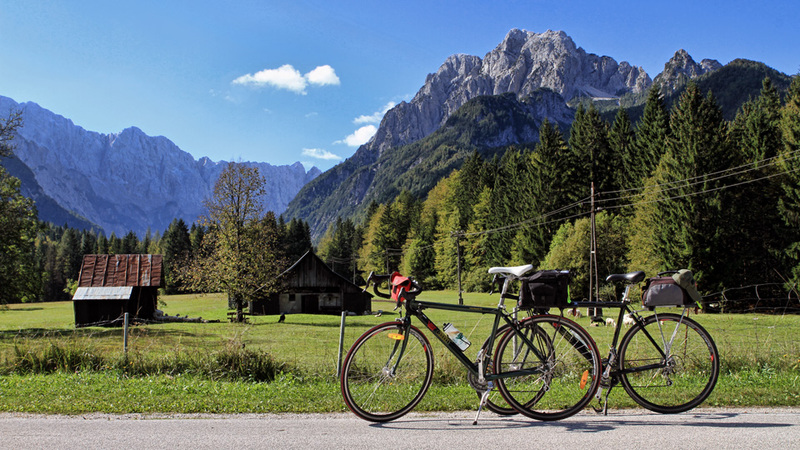 This is where our cycling adventure began, and where I first began to fall in love with the country of Slovenia. It was impossible not to. 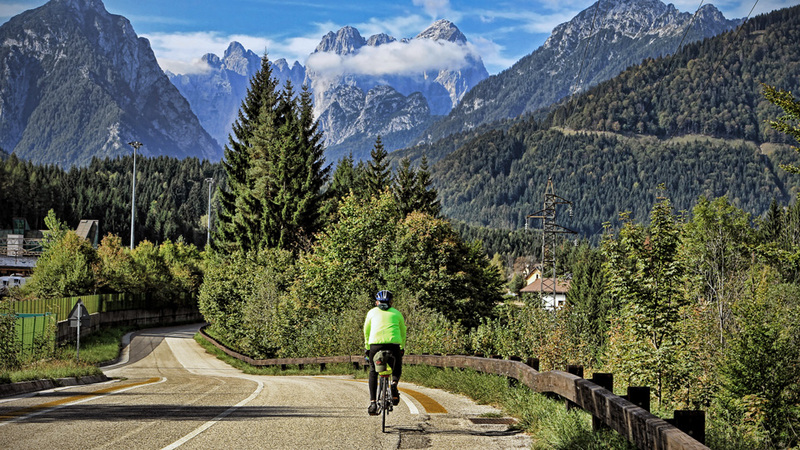 Just to give some clarification and perspective on the cycling, we once again used trip planning services of VBT (Vermont Bicycling Tours) as we had such a wonderful experience previously on our trip through Tuscany. 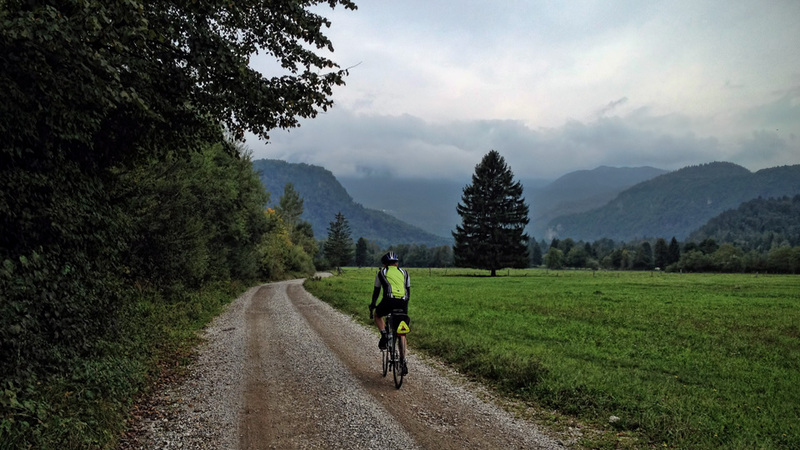 They supplied us with our bikes, arranged our lodging, moved our off-bike bags, and provided us with two of the most wonderful Slovenian guides – Damjan and Matej. Each day, our two guides would provide maps and suggestions of things to see, places to stop, additional cycling routes and loops – and translation help when we needed it. 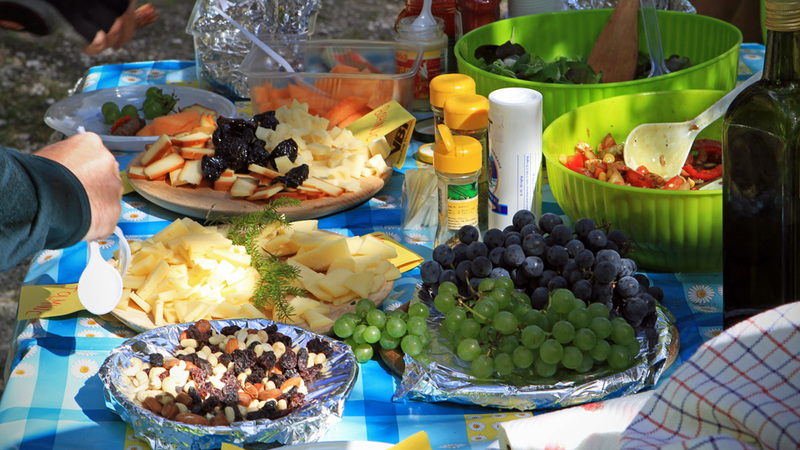 On several days, they would appear en route, bringing us wonderful picnic lunches. 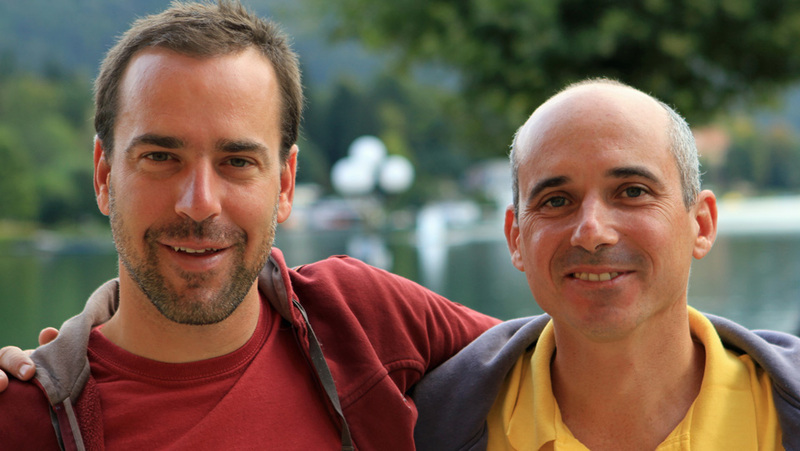 As lifelong residents raised and educated in Slovenia, Damjan and Matej had extensive cultural, geographical, political and historical insight – information that they shared openly with us, providing context to the often-dramatic changes the country has endured. On bikes, they let us customize our own trip to our own desires, and at our preferred pace – yet were always there to help when we needed it. Even though we were part of a larger group of 19 cyclists, we were free to ride on our own (as Mark and I did), choose our own route options, and make our own adventures. On several evenings, a number of us gathered to enjoy a beer and some engaging conversation and stories from the day – it was open, genuine, fascinating and enjoyable, and the friendships we made were one of the trip’s greatest gifts for me. 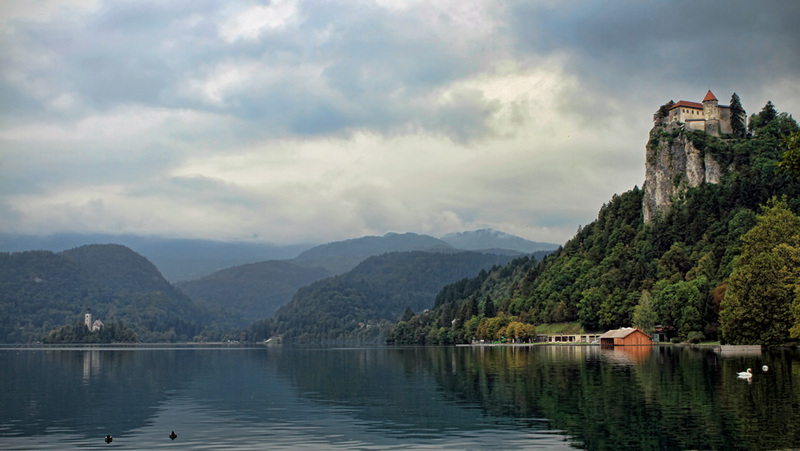 Upon leaving Lake Bled, we headed to the area around Kranjska Gora and Podkoren, and the stunning mountains in the region of Triglav National Park. The mountains here are breathtaking, with profiles and colors different than any other mountains I have seen – from Alaska to the Rockies. They are stunningly vertical and dramatic, their luminous granite peaks rising out of deep blue-green forests. Icy mountain streams, with beds of white stones, are pristine and crystal clear – and it is claimed they are safe to drink from (altho we did not – but I did stop and wade in). 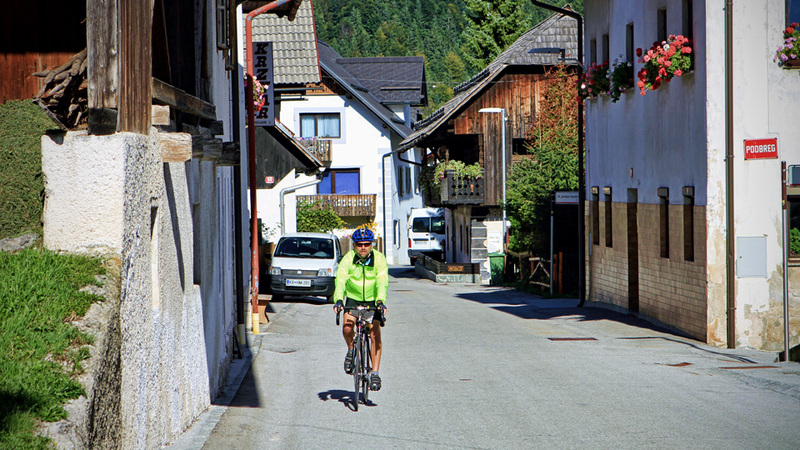 In the village of Mojstrana, Mark and I made a side visit to the Slovenian Alpine Museum. Here we learned about the area’s mountaineering history, along with hiking, trekking and climbing opportunities within the region, and the network of mountain huts that are available to the public. 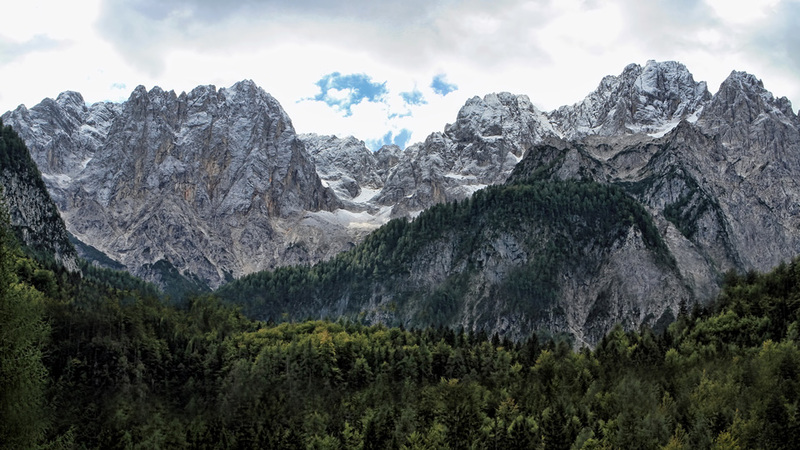 They also cited the fact that over 75% of the Slovenian population are members of the Alpine Association of Slovenia – a testament to how beloved and culturally significant the mountains are to Slovenian people. 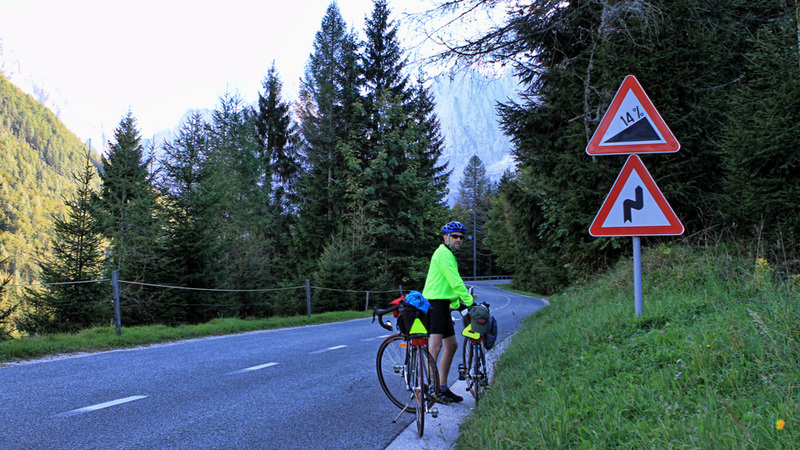 While our cycling was mostly along the valley, we did cycle up to site of the World Cup ski jumping area and did a brief stint on the Vrsic Pass – a popular and challenging cycling route, climbing nearly 1200 meters over 11 km, with 24 switchbacks up to the summit. We arrived rather late in the day, and I am not ashamed to confess that my legs fell off well before the summit. But it’s a ride I have added to my bucket list, and I definitely plan to return. Zlatorog is the name for a majestic white chamoix with golden horns. He roamed the mountains with the White Fairies, helping humans who ventured into the mountains, guarding the treasures hidden deep within the mountains, and keeping the valleys green and beautiful. In a valley village below, an innkeeper’s daughter was being courted by a local hunter, who professed his love and brought her flowers from the mountain meadows. 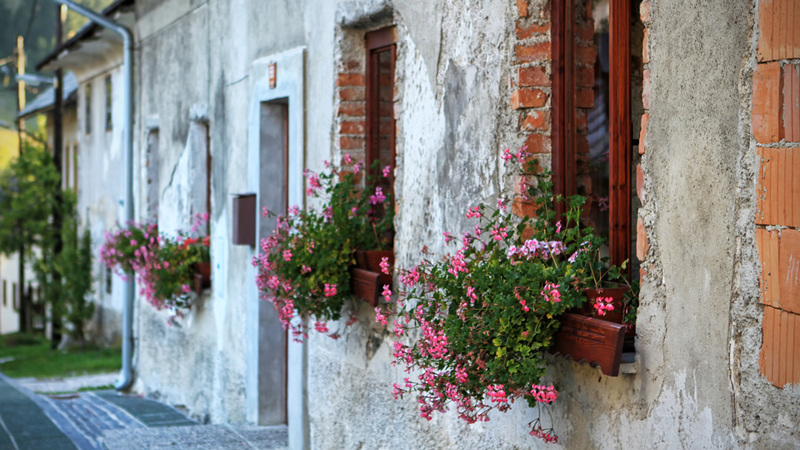 One day, a Venetian merchant arrived in the village and tried to win the heart of the young woman with gifts of gold. The hunter, in his jealousy, decided the only way to win back his love would be to kill Zlatorog and take the gold that was hidden beneath the mountains – treasure that was dutifully guarded by the golden-horned chamoix. The young hunter left on his mission, managed to track down Zlatorog and took aim at him, killing him. Drops of blood fell from Zlatorog, and magically turned in to beautiful blooms – the Triglav roses – that still flourish to this day. Zlatorog nibbled at a few of the flower petals and miraculously came back to life – only to take his revenge on the hunter, steering him into a deep abyss and to his death. On the edge of Lake Jasna, looking up at Mt. 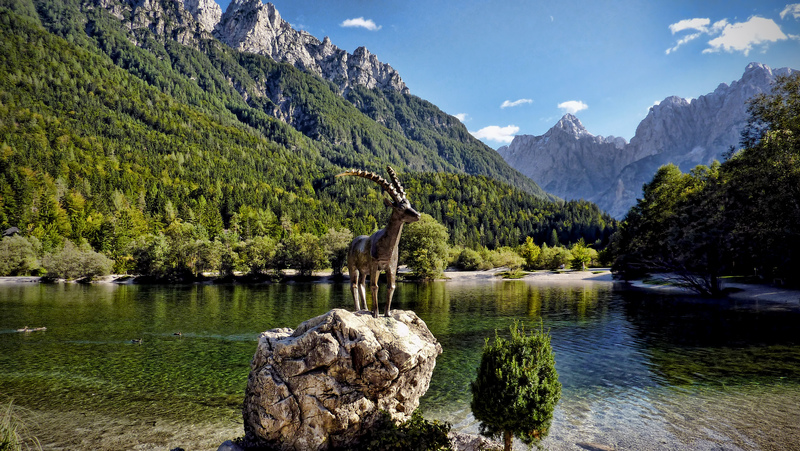 Triglav, and in love with this beautiful, friendly and magical country, I can’t help believe it is all true. What a Breathtaking Place & Fairytale Indeed! Loving your photos -that water is so clear:) Happy Friday! Many thanks – and Happy Friday to you as well! You so very kind; I am the one who should thank you! Appreciate you traveling along – and hope that you will make your own adventures there sometime. Cheers! It’s all so breathtaking…you’ll have the most delicious memories. And I was wondering why we haven’t heard from you in a while…What a treat to read and visually absorb. 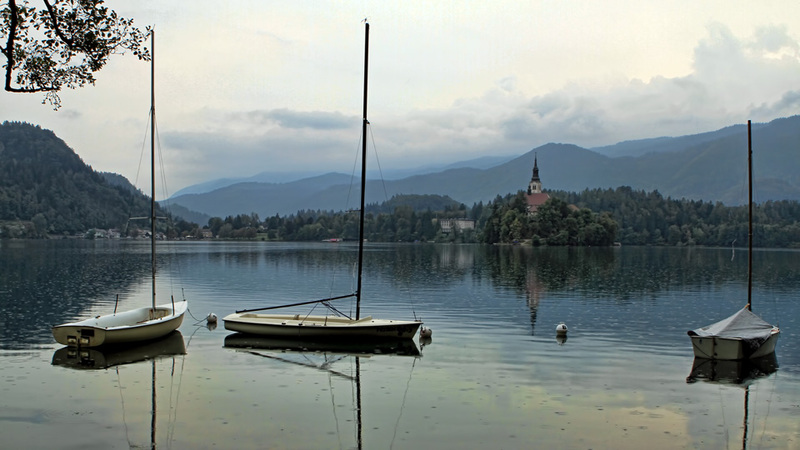 i am doing a content analysis of travel blogs in particular of Slovenia, which is also my home country. I am doing this for my University and I was wondering if you could answer a few questions regarding your visit? With whom were you travelling? 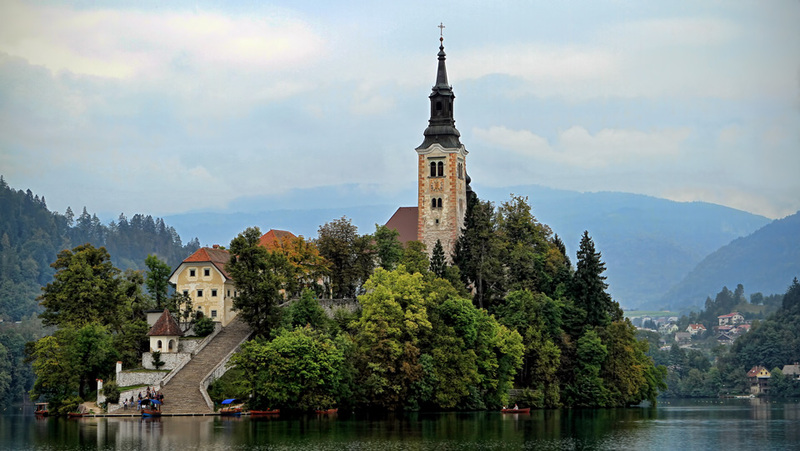 how did you get to Slovenia?